At this time of year, life is busy and the weather is hot! When all you feel like doing is swimming or sleeping, you might prefer something to eat ‘on the go’. But pre-packaged, gluten-free food products can contain added sugars, preservatives, flavours and other dubious chemical ingredients. 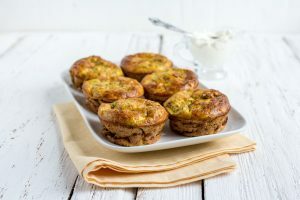 As our recent blogs on our favourite gluten-free kid friendly treats and our 12 GF Christmas Sweet Treat Recipes were so popular, we thought we’d compile a list of recipes that you can make even when the summer heat gets a bit too much – plus these 8 recipes are packed with nutrition, leaving you feeling your best! 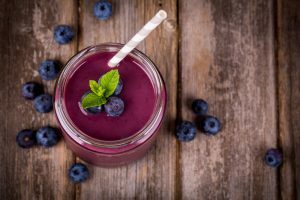 Now that it’s summer, everyone feels a bit more inclined to eat fresher, cooler and quicker breakfasts, which makes smoothies a great nutritious choice. To make your smoothie freezer packs, simply cut and place your favourite smoothie ingredients into a zip lock bag and pop them in the freezer. Then, in the morning, blend the frozen smoothie ingredients with homemade nut milk, coconut milk, coconut water or even plain filtered water, and blend until you reach your desired consistency. Pour into a glass and enjoy. If you’re bored of the same salad over and over, give jar salads a go. For some reason, as soon as you build your salad in a jar, it becomes 100 times more interesting and delicious! It also pushes you to create different salads and play around with flavours. Use whatever ingredients you have on hand. 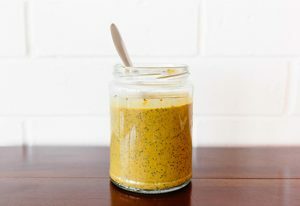 If you make a dressing, it will sink to the bottom. So when you’re ready to eat it, turn the jar upside down (with the lid on!) to evenly disperse the salad dressing, then enjoy! 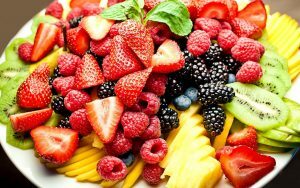 One of the best things about summer is all the amazing fruit that’s in season, such as mango, berries, pineapple and peaches. To make the most of this delicious summer produce, bulk buy your favourite fruits, chop them up and layer them in jars. Then you have a healthy, colourful fruit salad ready to go when you need it. You can also freeze the fruits in zip lock bags so they’re ready to quickly add to smoothies, muffins or cakes. 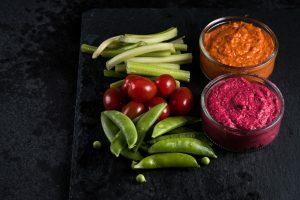 To help get your daily serve of veggies, use this easy and creative jar trick: Simply dollop your favourite dip (try beetroot hummus, pesto, guacamole or tzatziki) in the bottom of a jar and top with chopped veggies (carrots, celery, capsicum and cucumber work great). Then, when you need a snack, just screw off the lid and enjoy. 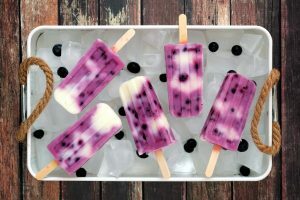 When the summer days really heat up, why not make something like these Coconut & Blueberry Ice-Blocks or Strawberry Coconut Ice-Blocks to cool you down and nourish you at the same time? They’re also a perfect treat for the kids. What are your favourite recipes to make in summer? Let us know below – we’d love to hear them!